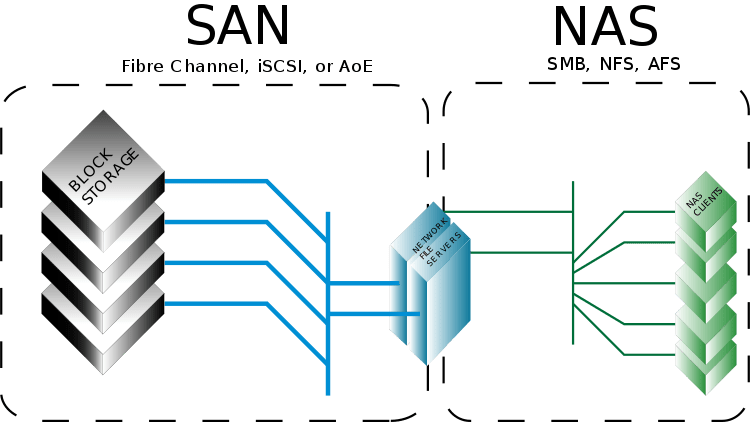 Despite their differences, SAN and NAS are not mutually exclusive, and may be combined as a SAN-NAS hybrid, offering both file-level protocols (NAS) and block-level protocols (SAN) from the same system. An example of this is Openfiler, a free software product running on Linux-based systems. Ashared disk file system can also be run on top of a SAN to provide filesystem services.